Or should the title be Oatmeal, Raisin, Walnut Cookies? – not sure. This is an Ina Garten recipe – but I did modify it a bit. I do kind of love her, but I have never tried this recipe. It has been one of those recipes that has been my cookie binder for donkey’s years and I figured, what the hell – I am a huge fan of oatmeal cookies (read: cookies you can eat for breakfast and not feel the least bit guilty about it). I really do not think I ever feel guilty about eating cookies for breakfast, but that’s just me. Yes, everyone should be so progressive or something. Whatever. These are really good. Preheat oven to 350 degrees. Over a piece of waxed paper, sift together flour, baking powder, cinnamon, and salt. In the bowl of a stand mixer, cream together the butter and both sugars until light and fluffy. Add the eggs one at a time, and then add the vanilla. Slowly add the dry ingredients to the butter/egg mixture, and mix to combine. Add the oats, raisins, and walnuts until just combined. Using my cookie scoop*, I parsed these out about 2 inches apart and baked about 14 – 15 minutes. Although I did kind of smash them a bit after the first batch. That might be an issue if you leave the dough in the fridge over night which I tend to do but I did let it sit out at room temperature for a while (a couple of hours). Make dough one night, cookies the next night -it is a thing for me. But baking 15 minutes seemed to work pretty well. Notes: I was a little disappointed that the tops of these cookies didn’t get kinda sorta brown on top, but in the taste department it so made up for that. They were crunchy even if the top wasn’t more than beige. Again, though, I like style points. I think cookies should look good (but that does not keep me from eating them again for a midnight snack). *How does one determine the size of a cookie scoop? Please someone enlighten me. This one works, but I just kind of guess with it. Made 43 cookies with the cookie scoop that has no determined size. Honestly. Do have to figure this out. 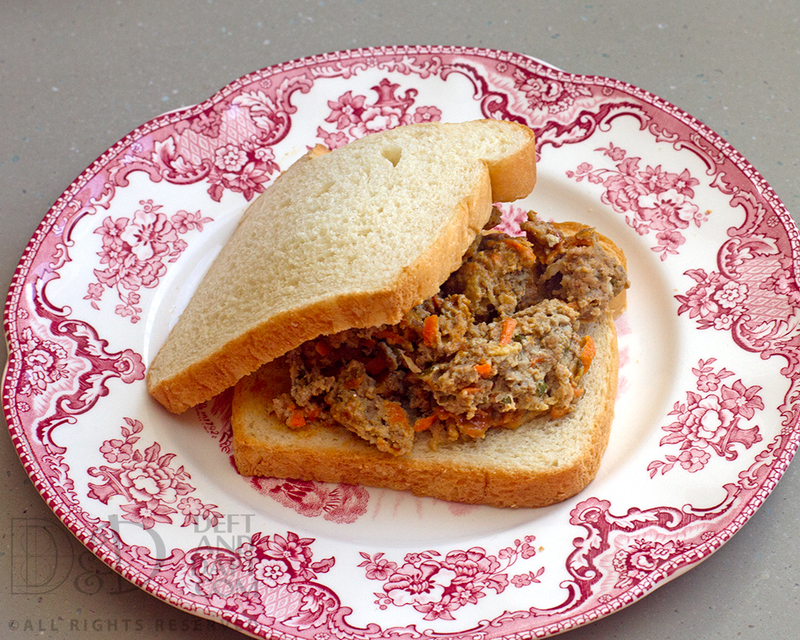 One of my favorite things when I was a kid was a cold meatloaf sandwich with ketchup – in my NFL lunchbox. Yep – I was that girl – or that tomboy. 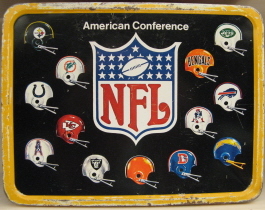 I had the best NFL lunchbox in second grade. I think the boys were really pretty envious. Just ask me – which helmet meant which city – I could tell you and the team name. Who was the quarterback? Totally got that. And could tell you a few other fun facts. Hello boys from the 1972 Miami Dolphins. Daddy raised me right. At least for me he did – I’m pretty sure he wanted a boy – duh. The lunchbox choice was all mine though. Back to meatloaf. I do not remember caring for it at dinner, but for a left-over sandwich, it was nothing less than sublime. Why is it most kid memories seem that way? I guess it’s just a filter that you didn’t know you had. Nonetheless, I’ve been searching for my mom’s meatloaf – not because I want to eat it when I make it, but I want it the next day in a sandwich with soft white bread and some form of ketchup. This time I looked at 6 meatloaf recipes I have on file. They are All-American Meat Loaf. Martha Stewart’s Meatloaf. Turkey Meatloaf from Trisha Yearwood (but honestly, I would pretty much never use turkey). Cracker Barrel Meatloaf. Meat Loaf by Ina Garten who I adore, by the way, and AB’s meatloaf. I have made the All-American meatloaf before, but not by following the actual recipe – no surprise there – in January of this year, and again in February. The right kind of weather is necessary for meatloaf. It is not spring or summer food. October, yeah, that seems like meatloaf weather. It really was good and here is the mixture of these six recipes along with the things I know to be true. Preheat oven to 350 degrees. Grate the carrot and onion into a large mixing bowl. Add parsley and Parmesan. In a medium bowl, place the torn bread and milk until the bread has soaked up all the milk. Add to the large mixing bowl. Add ketchup, garlic and eggs. Mix until combined. Add the ground chuck and mix with your hands until just together. I don’t bake this in a loaf pan – that just seems yuck to me (and to Alton who I learned the trick from), especially when using ground chuck. The only problem I have with this is it does not hold together well, but I don’t want to add more eggs or binders. I had a friend tell me to use oatmeal, so I may try that – or one of the other binders, dry bread crumbs, or saltines. Worth a try. But the flavor of this, for me and the MotH, was pretty damn good. Oh, and I made a little more glaze – using the same ratios – and put it on the bread for the sandwiches – very very good. Next time though, I make simmer the glaze a bit to let it reduce and meld together a little more. Is it my mom’s meatloaf? Not quite, but getter closer and better every time.